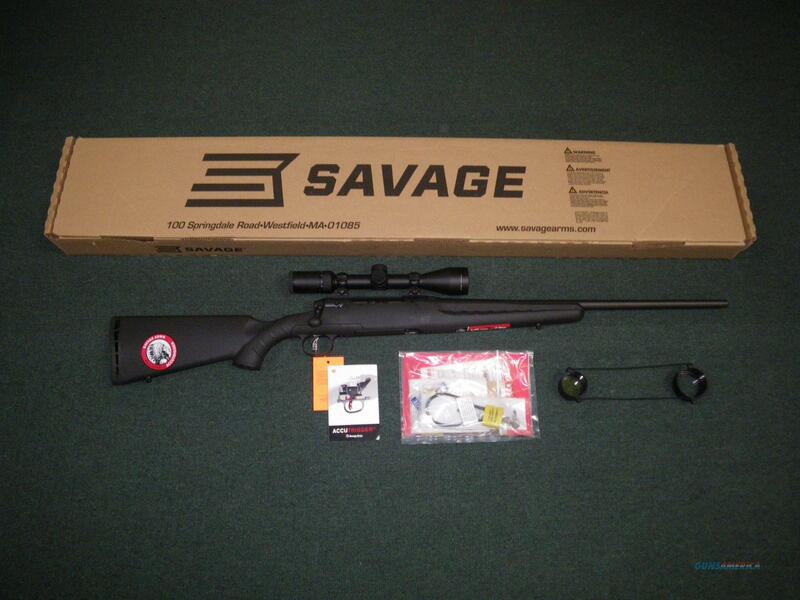 Description: You are bidding on a new Savage Axis II XP scope package in 308 Winchester with a 22" barrel. This rifle comes ready to hunt with a Weaver Kaspa 3-9x40 scope factory mounted and bore-sighted. The Savage Accutrigger comes standard as well as a detachable box magazine. The matte black and synthetic finish will provide years of worry free service. Displayed images are stock photos. Any questions please feel free to ask (our phone number is in the additional information tab above).